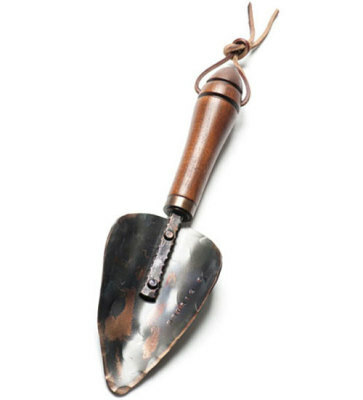 Now that’s a Garden Trowel! Iron & Wood Garden Tools are handmade using time-honored blacksmithing methods. Once the metal has been heated to a red glow in the forge and then shaped over the anvil with a hammer, it is burned into the handle creating a long-lasting trowel with absolutely no welds. Select American hickory is used for the handle. The tight grain of this exceptionally strong hardwood makes a more durable handle than pine, the wood typically used in mass-produced tools. Best of all, it just feels good in your hand while you are gardening. 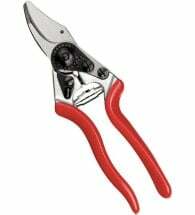 Quality workmanship, well-balanced form, and an emphasis on usability make these tools a unique addition to any home or garden. Made in Bozeman, Montana. 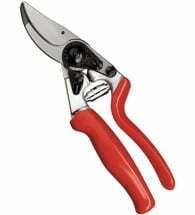 Ergonomic handles and an angled blade ease the physical stress of making cuts. 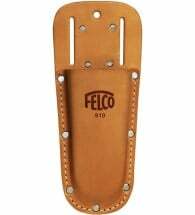 This rugged, all-leather pouch is made to slide over a belt for easy on-off use. If yard work is taking a toll on your hands and wrists, check out this clever design. 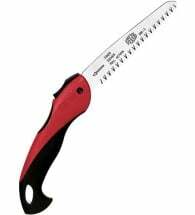 When pruners are too small to nip through branches, grab this handy folding saw.